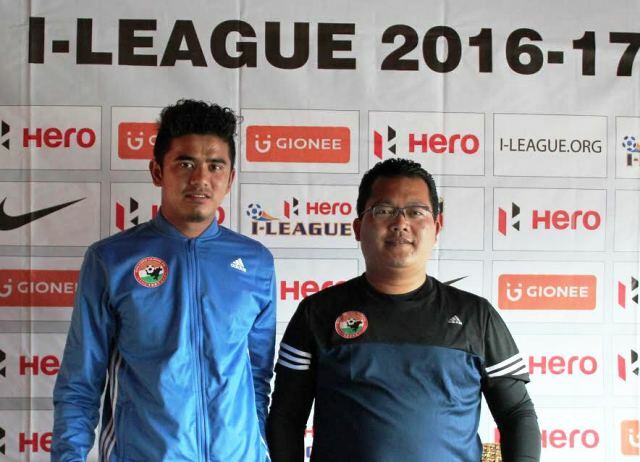 Shillong Lajong will be up against table–toppers Kingfisher East Bengal on Saturday (March 4, 2017) in what will be one of the rigorous tests of the season for the hosts this season. On a high, Lajong have won five of their last seven games and a victory over the Kolkatans tomorrow will, for the first time, set them up for a top four finish in the I-League. The visitors, on the other hand, are looking to create history by winning their maiden I-League title and the Shillong outing assumes utmost significance as far as fulfilling their league ambition is concerned. While the hosts come to the tie on the back of a 4-1 away win over Chennai City, Kingfisher East Bengal complete their first-ever double over the Blues, thanks to their 3-1 win in the Garden City. “Till now we have beaten teams which are below us in the standings. To improve our position we have to beat sides which are ahead of us. So that way it’s a crucial encounter tomorrow,” Singto said in the pre-match conference here today. Lajong gaffer also lavished praises on the opponents stating that the Red & Golds are the most balanced side in the I-League this season and have a strong bench. Singto, however, underlined that Lajong have a good record against the Red and Golds and the hosts can net full three points tomorrow. It may be mentioned that of the six occasions that Lajong have hosted East Bengal in the I-League the Reds have won four times, which is the Club’s best win percentage (67%) at home against any long term I-League club. Singto added that comeback man Aibor Khongjee will feature in the first 18 tomorrow. The visiting coach said though every game is a must-win from here on, there will be a lot of twists and turns as the season progresses. “There are still 21 points to play for and all we can do is what we can do,” he said while replying to whether East Bengal were under pressure on account of their title ambitions. The match is scheduled at 04:30 PM and it’ll be telecast live on Ten 2.